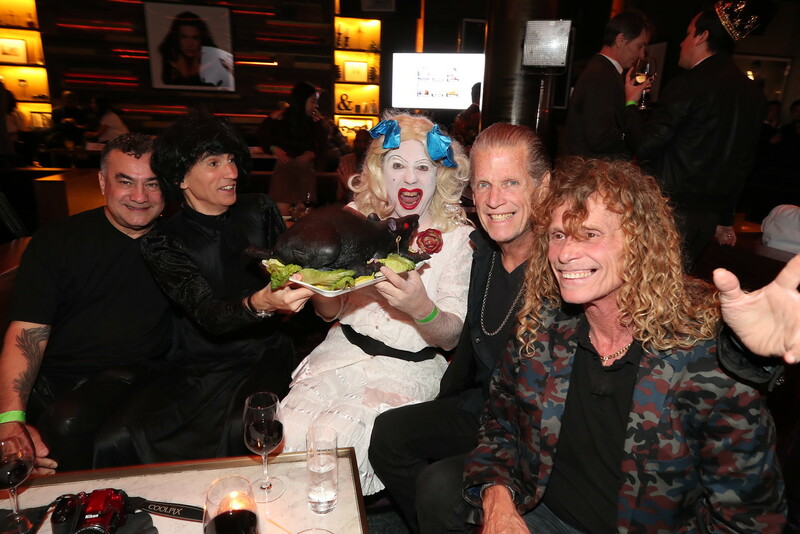 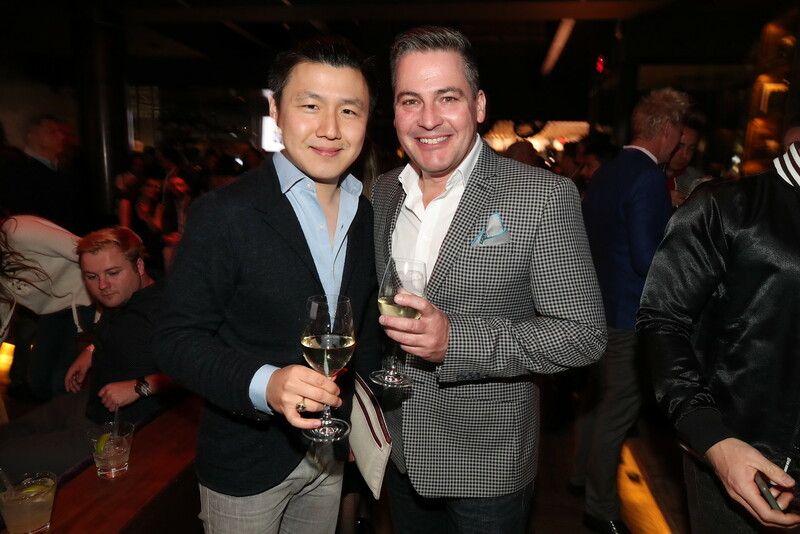 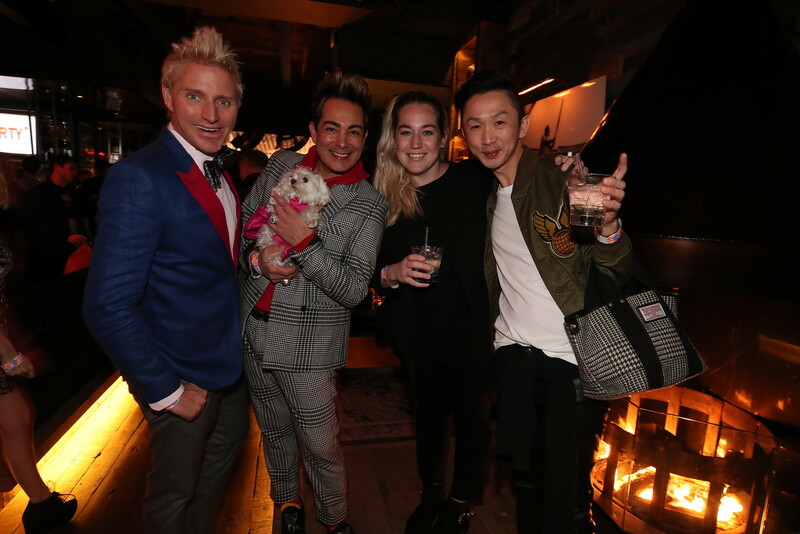 Sunset Boulevard was aflame with gayety during the 2018 Queerties event held at Hyde Sunset in Los Angeles. 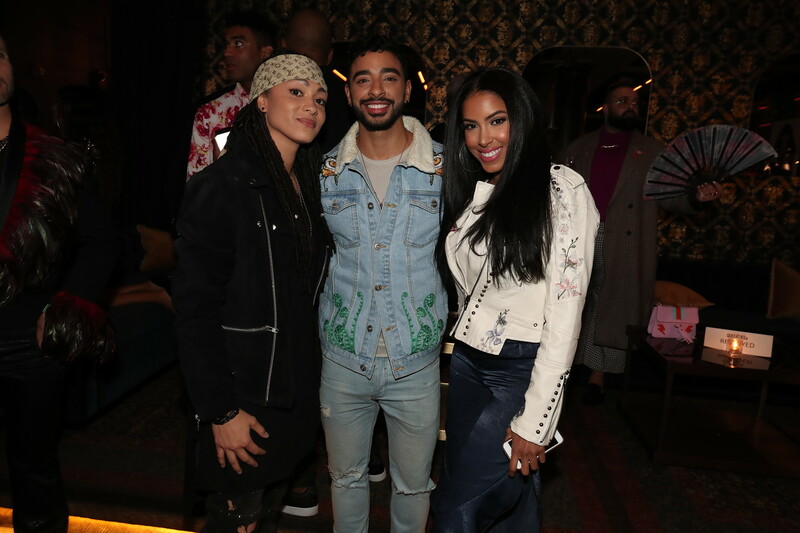 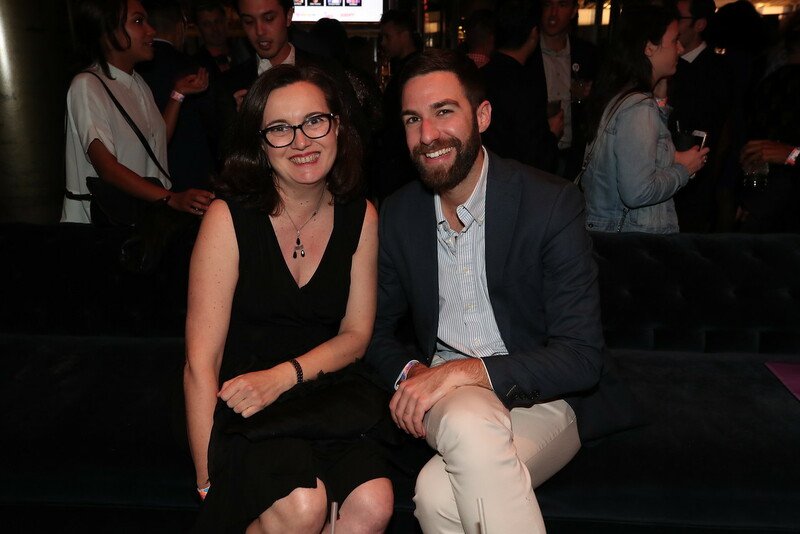 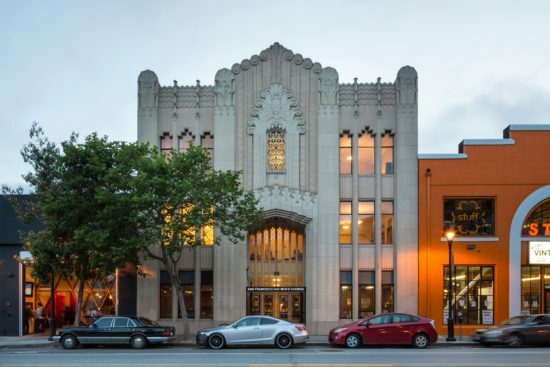 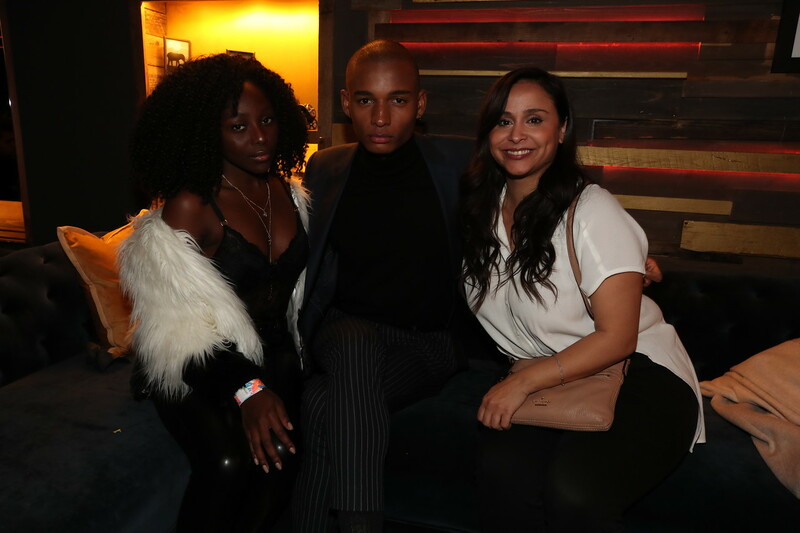 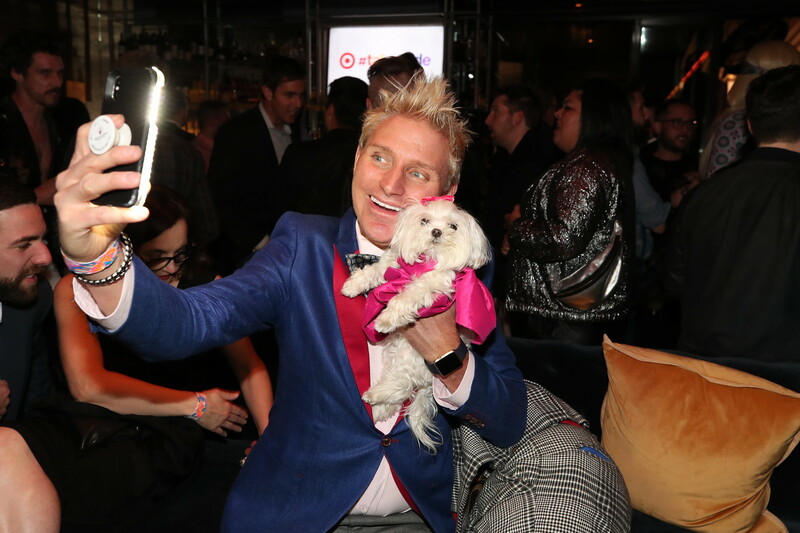 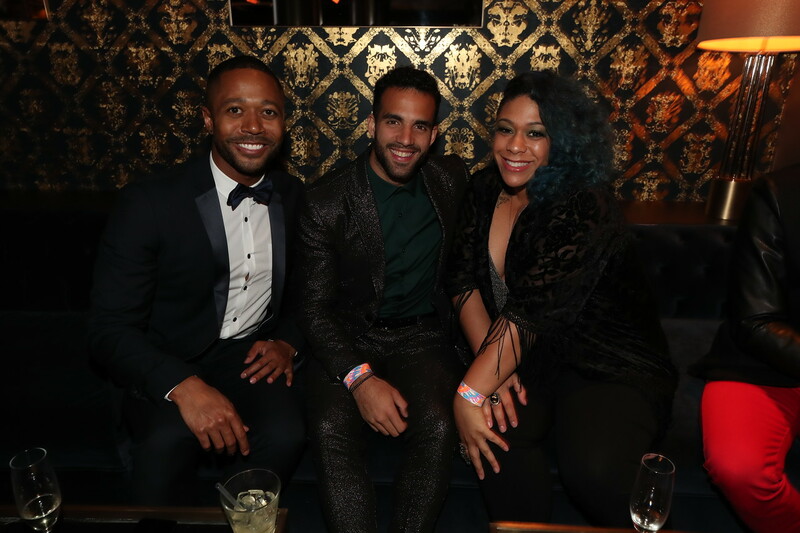 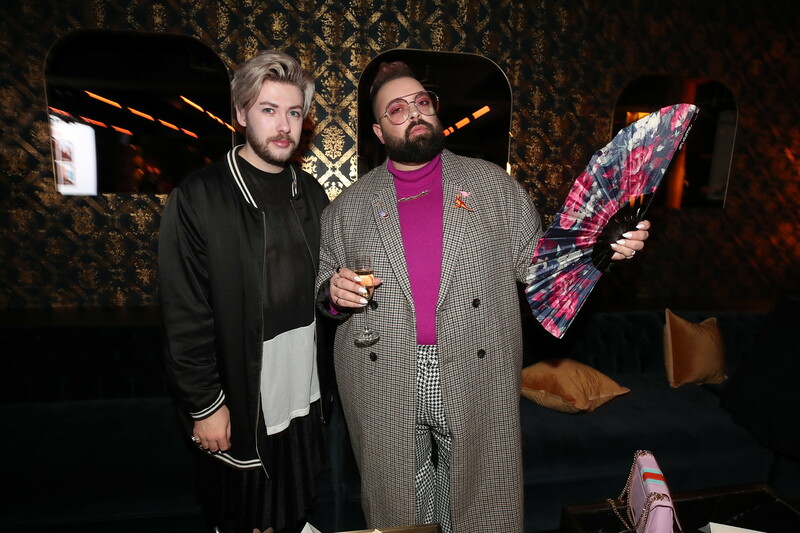 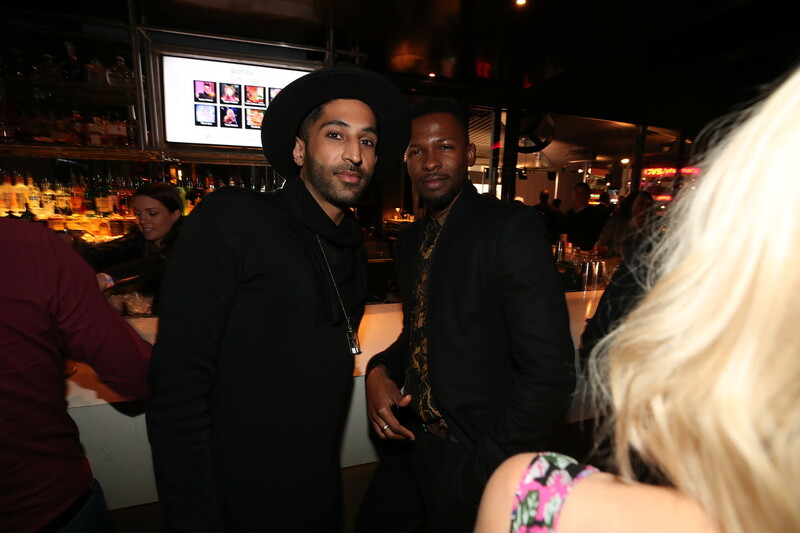 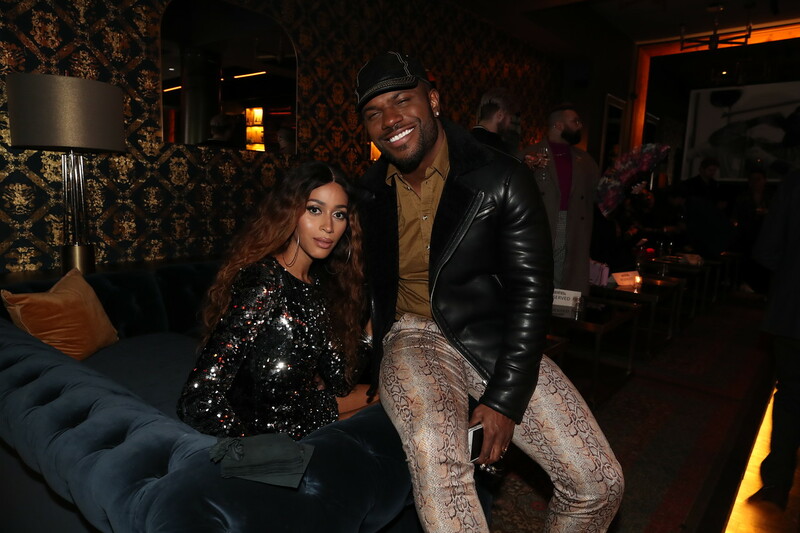 The plush and polished affair awarded the best in LGBTQ media while a who’s who of rising stars, social media figures, and Hollywood insiders mingled on the posh velvet couches. 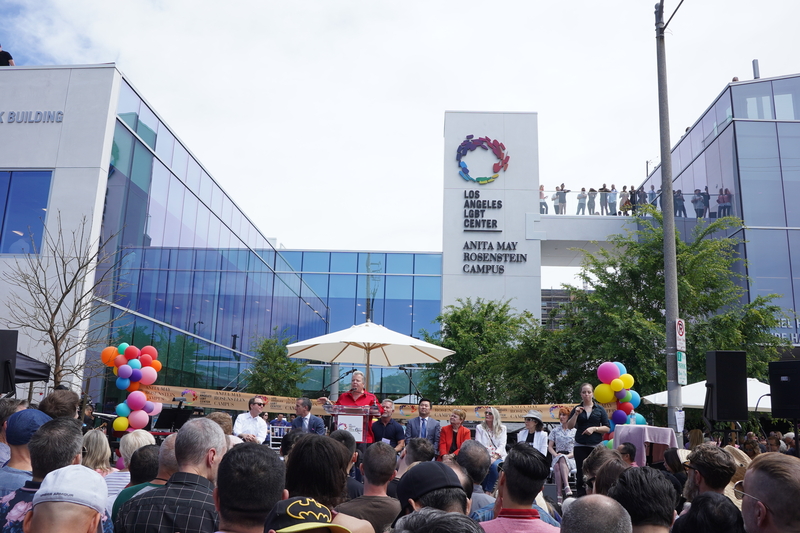 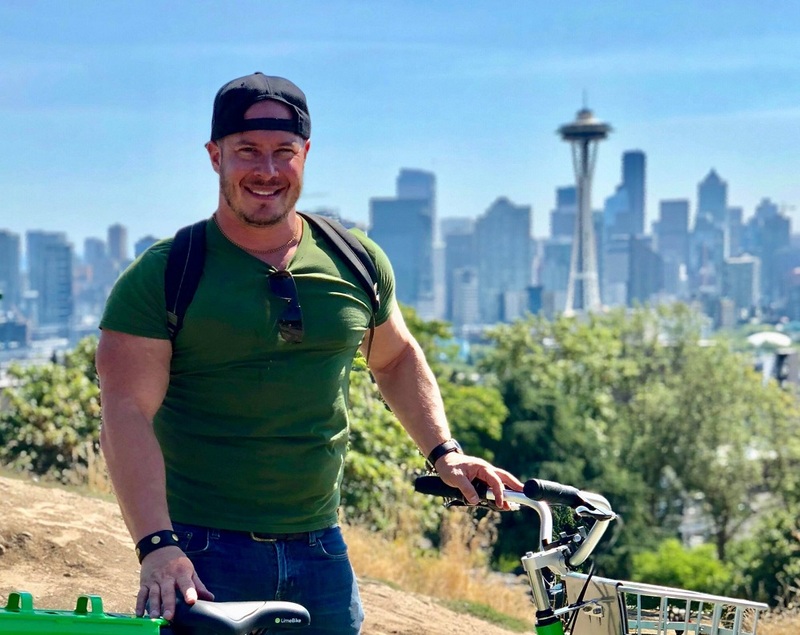 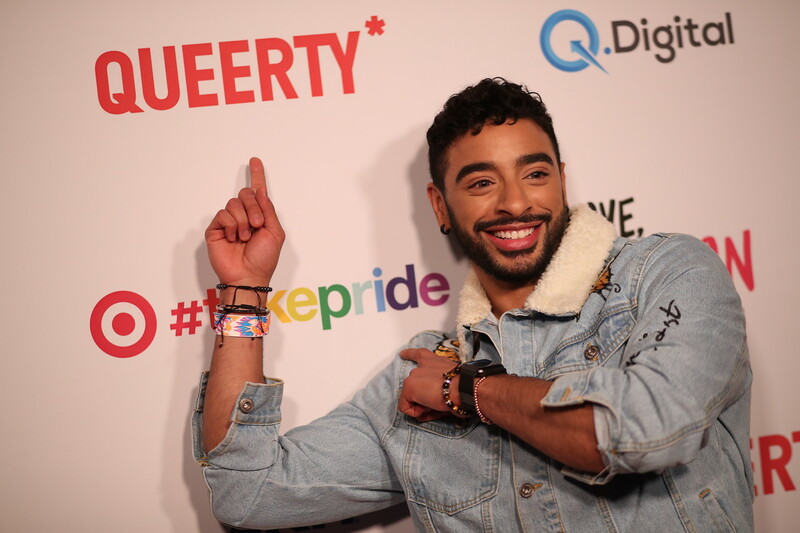 Among the evening’s top winners were Laith Ashley for Queerty Crush and EastSiders for Web Series. 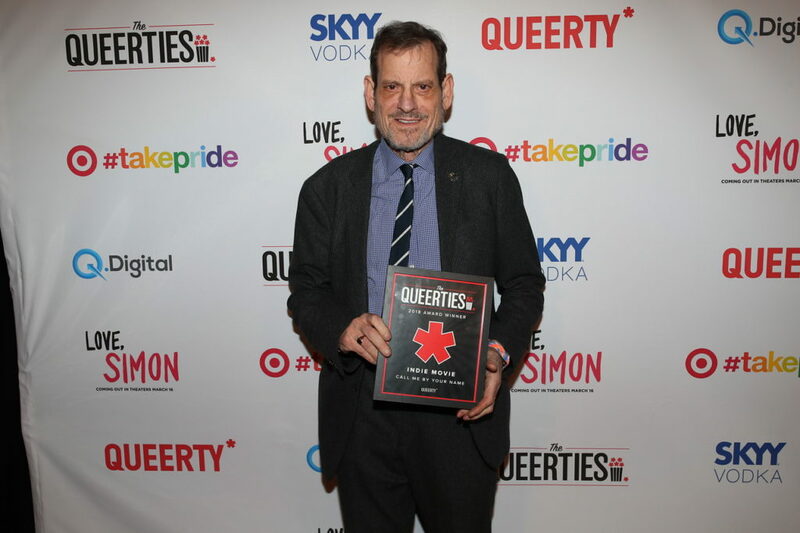 Call Me By Your Name won for Indie Movie and the film’s producer, Howard Rosenman, flew in from New York to accept the award. 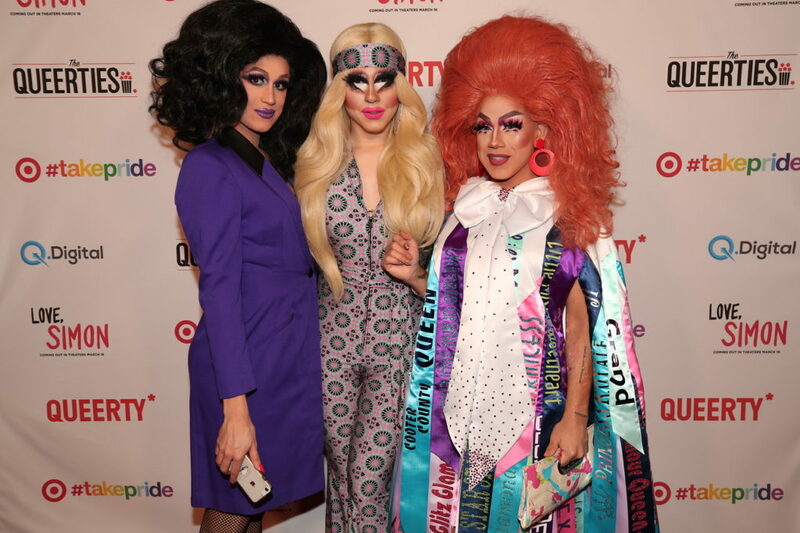 RuPaul’s Drag Race alum Trixie Mattel, who won the Rising Diva award, ate Queerty popcorn off of the red carpet and Laganja Estranja snatched our wigs during a closing performance that featured death drop after death drop. 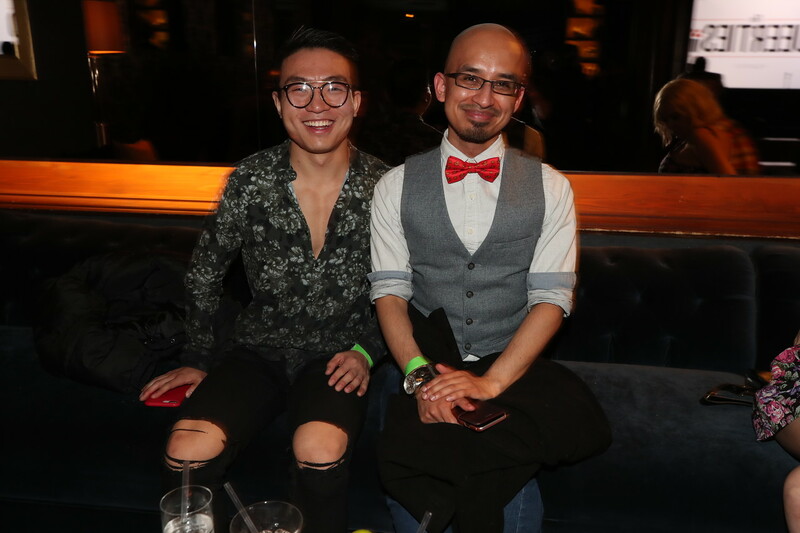 Kentaro Kameyama, winner of Project Runway Season 16, and social media influencer A Bear Named Troy, both nominees for Style Trendsetter, were also in attendance. 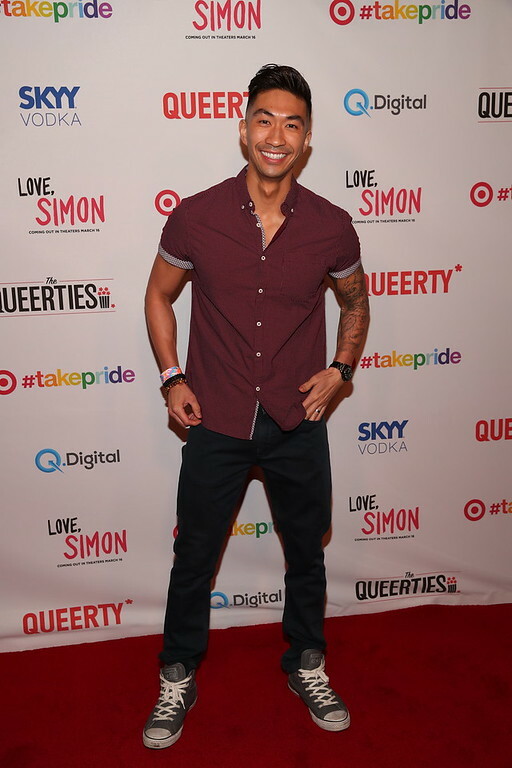 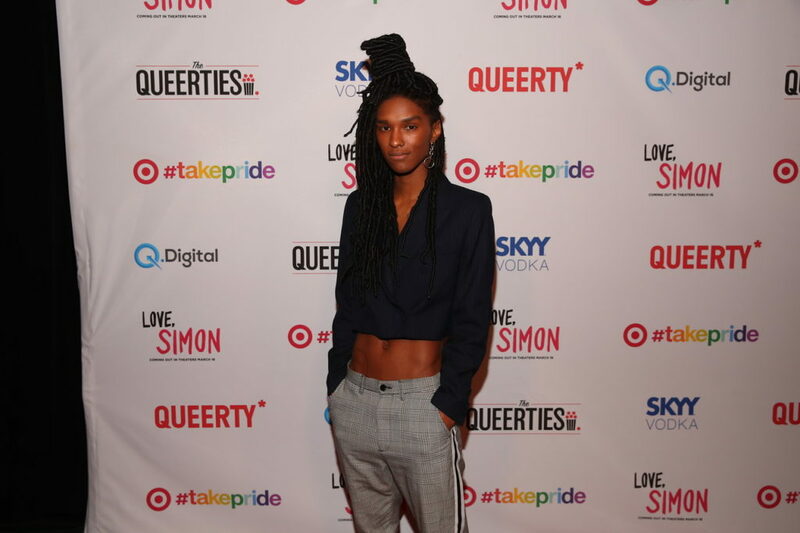 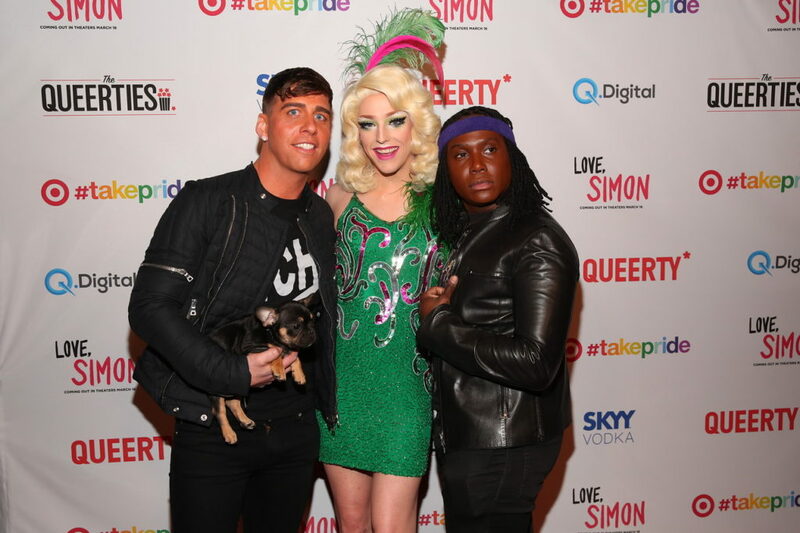 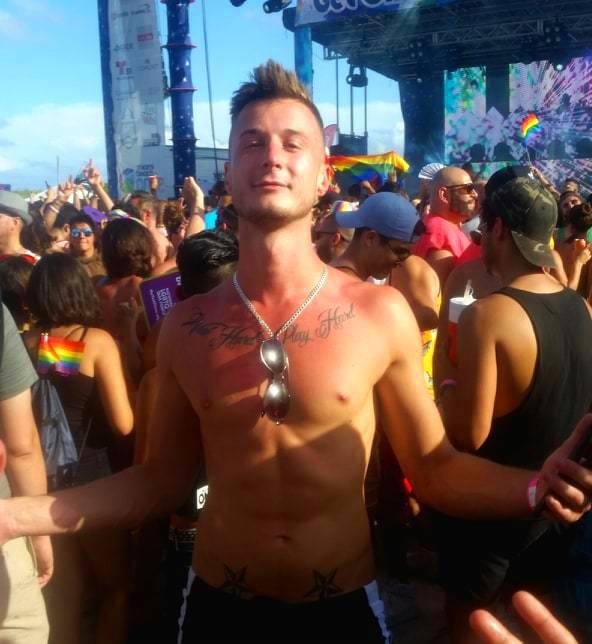 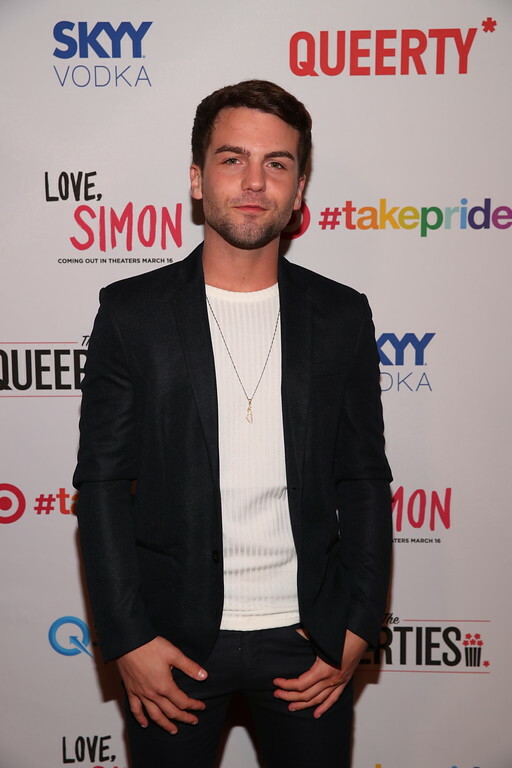 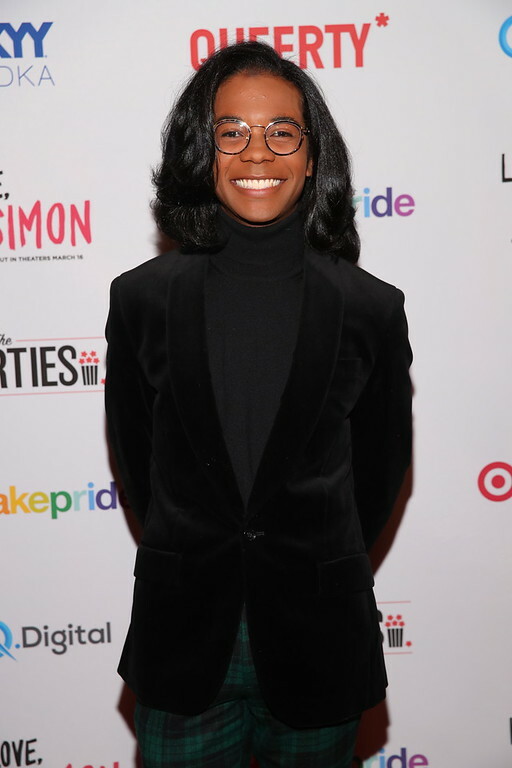 Presented by Love, Simon, Skyy Vodka, Target, and Q.Digital, the evening was a night to remember. 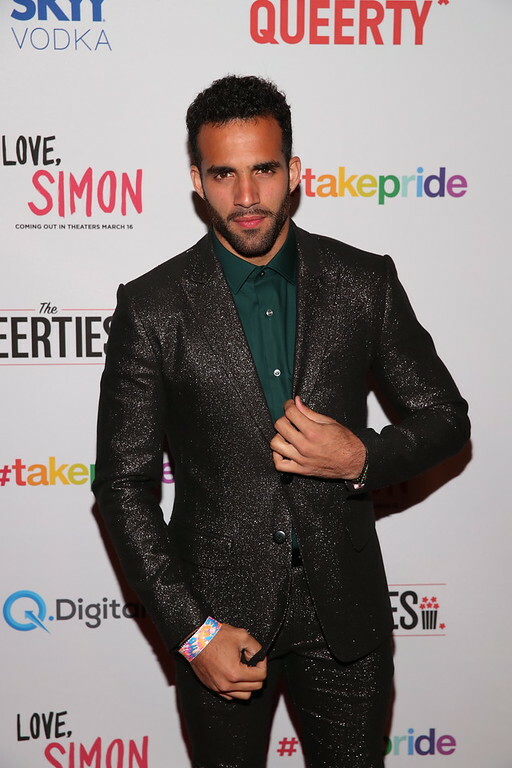 Check out the party highlights and red carpet looks. 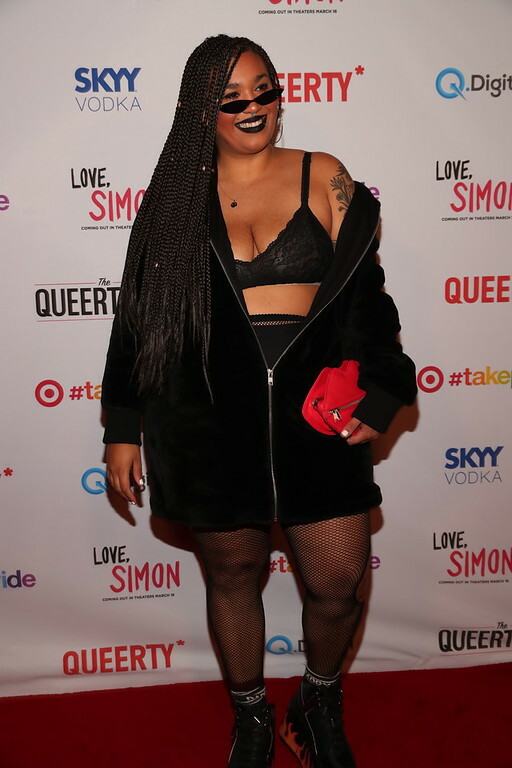 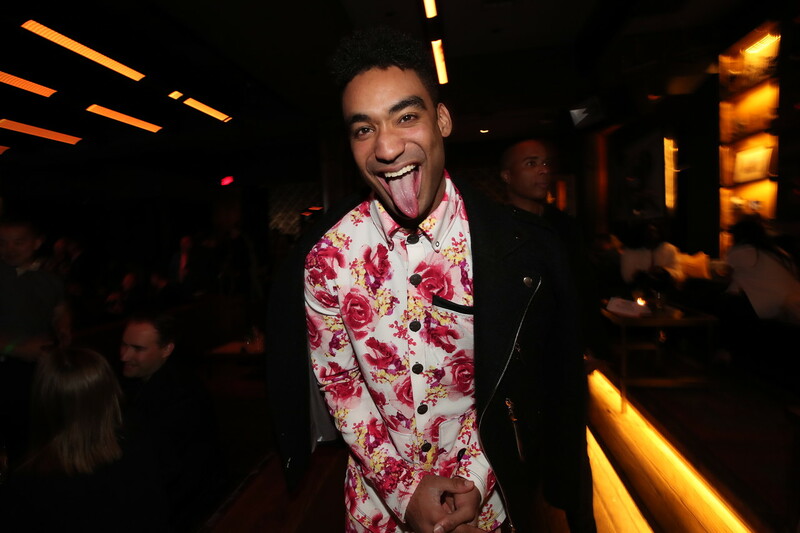 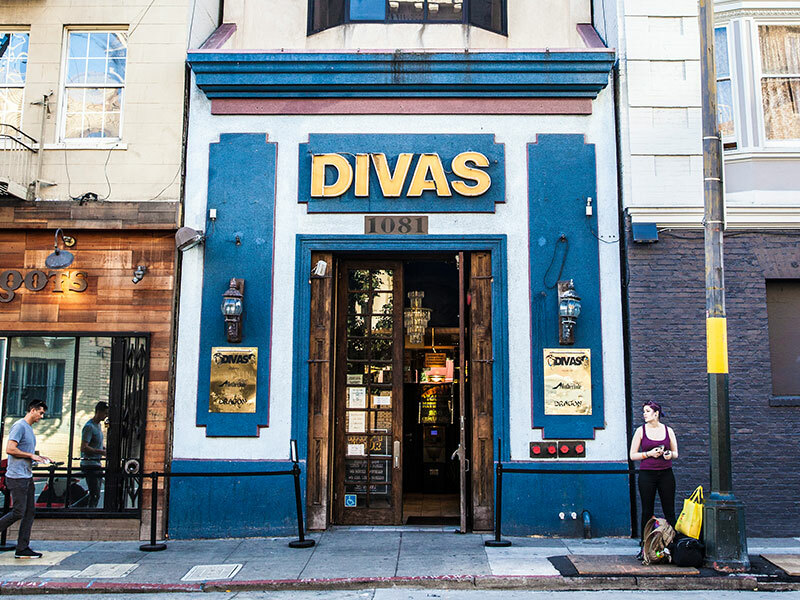 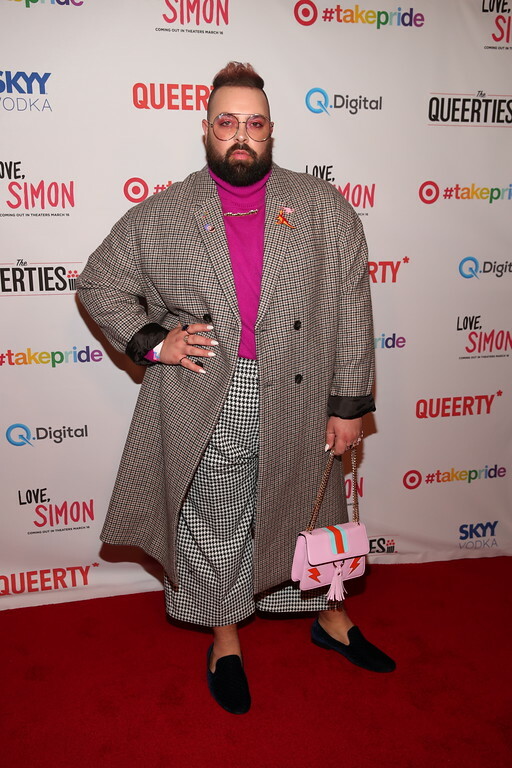 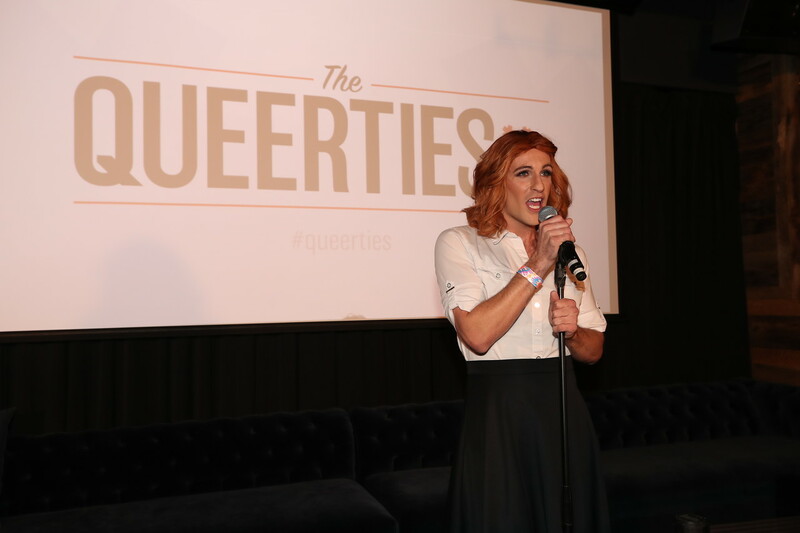 The Queerties red carpet arrivals saw a variety of trend setters and scene stealers. 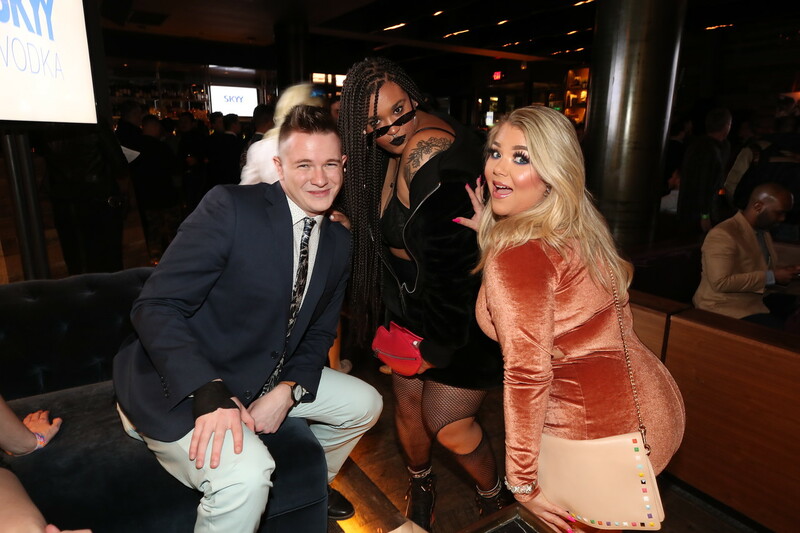 See all the fabulous looks! 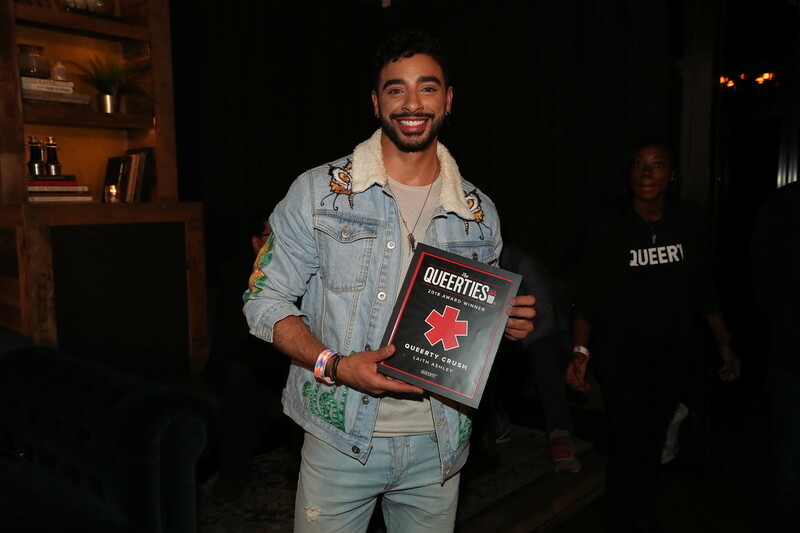 See the full list of winners and nominees from the Queerties 2018.